I may look like the crazy flower lady, with zinnia taking up a good chunk of space in my vegetable garden. But there are great reasons to grow zinnia as a "crop". The butterflies love them as a nectar source. And they make great cut flowers; I like having a bouquet of garden flowers on my desk that will last a whole week. 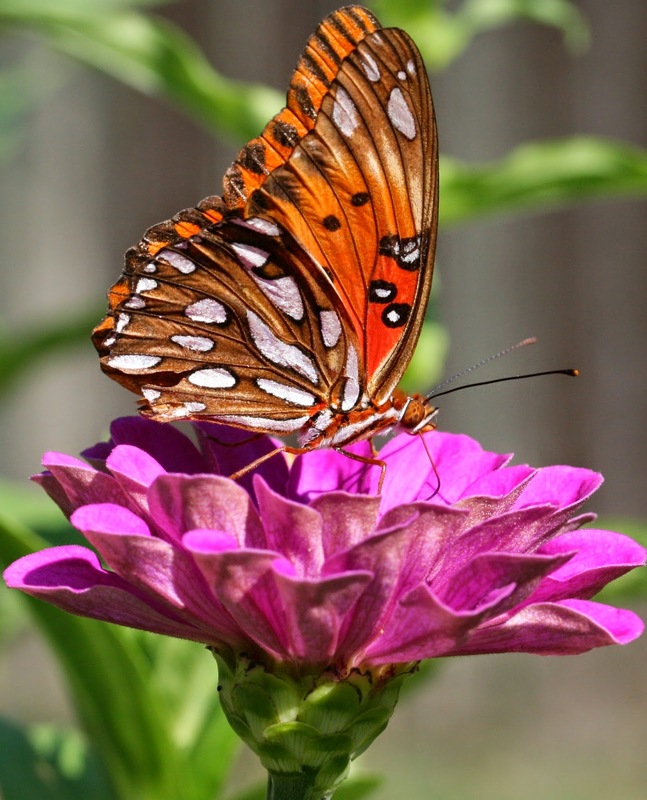 This is a gulf fritillary butterfly. I grew their host plant, passion vine, at my old house and got to see their caterpillar stage. Below is the picture I took a few years ago.